Don't Feel Like Reading Today? 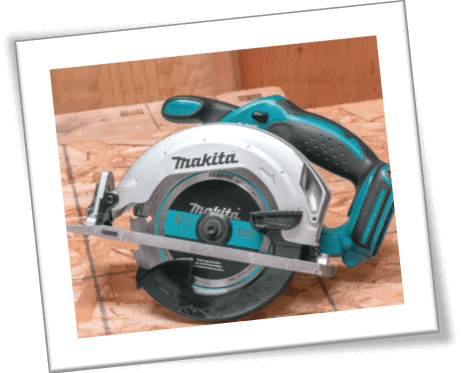 Here's A Quick Rundown Of The Makita Circular Saw Review. This Makita circular saw has a high speed rotary motor with an impressive 5000 RPM. The Makita XSS027Z cordless circular saw can cut up 10 to inches in depth at 45° and up to 90° angles. Model XSS027Z was made with A-grade parts for long term durability factor and comes with an electric brake. Makita XSS027Z 18V LXT also comes with a rubberized grip, a LED work light and a dust blower. Makita XSS027Z 18V LXT Circular Saw is right after my own heart; straight to the point, and it can carve a piece of wood with pristine precision. However, it isn’t the best skill saw in the world. There are many models far superior to this one. 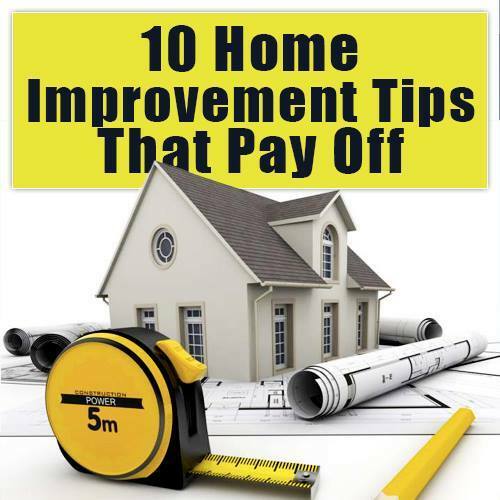 But as long as you are sticking to straight cuts and simple DIY woodworking projects; you got yourself a fine power tool. Plus, I like to think that Makita circular saws have some special features that make them invaluable to a handful of people out there. Where Makita XSS027Z 18V LXT Matters More? Caution for the Newbies Out There! Makita, Bosch circular saws, Dewalt circular saws and lots of other popular companies showcase their brand new or upcoming products at different expos all over the globe. If you have heard about ‘World of Concrete’ then you probably know that in February 2017, Makita introduced different editions of Makita circular saws to all the participants. Makita XSS027Z 18V LXT was placed side-by-side with the 7-1/2” edition, but it was too bulky for my choice. I liked this model, not only because of the simple compact design, but there was a special reason for that. You see, there is a small black color t-shaped tool that comes with each brand new purchase of this particular Makita circular saw. You can insert it into the slots in this Makita XSS027Z 18V LXT cordless circular saw to make cuts up to 10 Inches deep! Isn’t that impressive? Right off the bat, this saw does not come with a battery or a charger. That’s a bit of a downer, but you do get a fine serrated blade to make up for that. I have personally seen a lot of people complaining about the lack of battery and charger – both of which were “supposed” to be in the box, but didn’t arrive with the order. Come to think of it – some folks even rallied outside Home Depot to raise a ruckus about the lack of accessories. However, Makita is to be held responsible. They never said or promised anything about the battery, which is totally cool because you can install higher powered batteries for equally impressive performance. Home Depot is just a seller for any product; they retail stuff the same way they get it from their respective sources. Dimensions wise, the saw is a perfect fit for anyone who’s looking for a small handheld power tool. Without sacrificing too much, a Makita XSS027Z circular saw comes with the ability to cut deep, which is more of a surprise under the hood. 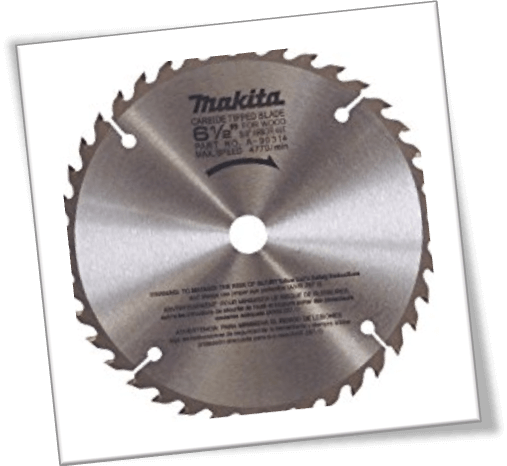 Makita also released a 7 ½ inch edition of the circular saw, but you could get the same results with this model easily. It depends on how you make the cut, and the density/ thickness of the material. The Makita XSS027Z 18V LXT model can carve its way around 90 degree angles and 45 degree angles with a depth of up to 8 inches. Some people said that they had to make crosscuts twice, or run their Makita circular saw 2 times in a row through the same material, but the end point is that they got the desired results. What makes the Makita XSS027Z model better than other circular saws? Obviously, as a first time buyer, you will be amazed to see hundreds of other circular saws within the same $90 - $120 price bracket. It is hard to make the right decision because all of these skill saws carry the same flashy promises. Technically speaking, this model is not the only edition that Makita has released within the Brushless LXT cordless saw series. There are 3 other variants with a slight difference in features. However, this unit is blessed with a 5,000-RPM rotary blade and a super smooth stability as that of a regular worm saw. If RPM is not your forte, then how about other fancy features such as Automatic Speed Change, Star Protection Computer Controls, and Prevention from Overheating etc.? These features in any other circular saw would incur an additional $100 expense, but Makita has splendidly outdone and outperformed others with the help of model: XSS027Z 18V LXT. I hate to break it to you, but 5,000 RPM takes a toll on the battery performance of this cordless circular saw. If you are a professional carpenter, or a woodworker, please use a 4 – 5 Ah battery. Those people who used the 3 Amp-Hour battery just took over the internet recently to bad mouth Makita’s performance. However, the decision of buying a good battery lands on your shoulders. Makita left an open option for anyone to figure out – i.e. if they know a thing or two about charge storage and such other things. Just like Dewalt DCS391B and Milwaukee 2630-20 , the Makita XSS027Z 18V LXT also comes with a rubberized grip. There is an LED work light and a dust blower that not only keeps the saw shavings at bay, but helps to keep the gears protected. The thing I usually hate about conventional models is their inability to keep the sawdust away. The moment it clogs in the gears, people have to disassemble the entire circular saw and start all over again. It matters a lot on how you perceive the end result, and how you actually cut through the plank. That’s one of the principles of an amateur and a professional who takes pride in his work. All thanks to the embedded LED torch, Makita XSS027Z 18V LXT projects a visual path for those who wish to see the blade’s direction. Not entirely true, but Makita introduced a rafter hook in model: XSS027Z 18V LXT. They also installed a battery charge indicator LED, which comes in the revised models, but the rafter hook was something that Milwaukee entirely missed in first place. ​The LED battery indicator is under the handle. Woodworkers with dark skin complexion can see the light falling on their hands. Normally when the battery is full, the cordless circular saw projects three dots. As the charge goes down, the dots fall to two and one LED light eventually. That’s a handy feature, considering that you don’t have to turn over the saw to see the exact remaining battery percentage throughout a cutting session. This Makita circular saw also has the added convenience of an electric brake. It is a much needed safety feature. I have seen with in the Milwaukee M18 Fuel Circular saw. Some other companies have introduced a trigger release safety mechanism, which causes the blade to stop after a few rotations. However, electric brakes work better; the stop motion is spontaneous, hence saving the limbs from any possible harm. 5,000 RPM Blade: Definitely a 1-up over other circular saws out there. Dewalt and Bosch skilsaws have an average RPM of 3500. You Get What You Pay For! Makita XSS027Z 18V LXT cordless circular saw has an ironclad FREE repairs warranty after the first 30 days of purchase. And if that’s not a head turner of a perk, the company also used A-grade parts for long term durability factor. The Stock blade can cut fairly deep (up to a depth of 10 inches at 90 and 45 degree angles.) Bevel cuts are a different story, and they require repeated practice. However, 90% cuts are straight and accurate. Overall impressive performance as long as speed is concerned. Thanks to the high speed rotary motor. Remember the part where I said Makita XSS027Z 18V LXT has a 5,000 RPM speed? Well, the thing is that this much speed can take a toll on the battery performance. The saw will run out of juice rather quickly as opposed to a 3,500-RPM cordless skill saw. Battery and charger come as add-on items. You’re going to have to purchase them sooner or later. Makita XSS027Z 18V LXT cordless circular saw is based on a brushless motor design. A lot of companies have already switched over to ball bearing design, which is something that Makita should have kept in mind before introducing the entire product lineup in Feb 2017. Overall, this is a solid cordless circular saw. Had it not been for the lack of a magnesium cover plate over the bevel angles, and reduced battery performance, I’d have given this circular saw a 5 by 5 rating. Given that you are an entry-level woodworker or a proud dad who likes to rely on the comfort of a trusted circular saw, Makita XSS027Z 18V LXT is the right choice for you. If you have some extra cash to blow, I’d rather see you spending it on twin battery powered cordless circular saws. These babies cost a fortune, but they are seriously the crème de la crème of the industry. I will talk about these saws in some other review. For now, let’s just part ways with a nod of approval for Makita and their diligent manufacturers. 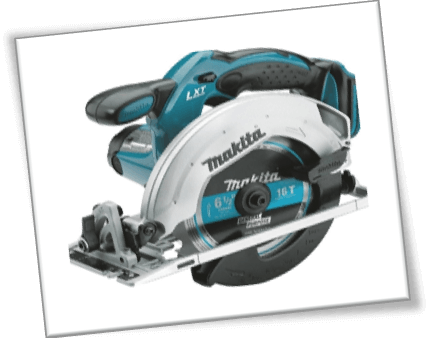 Still not sure if the Makita circular saw is right for you? You can compare the best circular saws or read our in depth circular saw guide on our website. Hope this can help you make your decision on which saw you should buy.